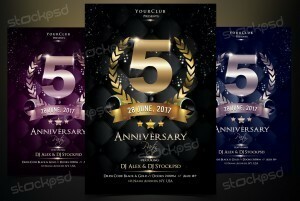 Anniversary Night is a Free PSD Flyer Template to download. This flyer is designed in a Elegant and luxury style with Gold and Black colors/effects. PSD File have also alternative colors for you to choose. This flyer is designed from Stockpsd Team. All elements and layers are very easy to edit and you can find these layers in groups. 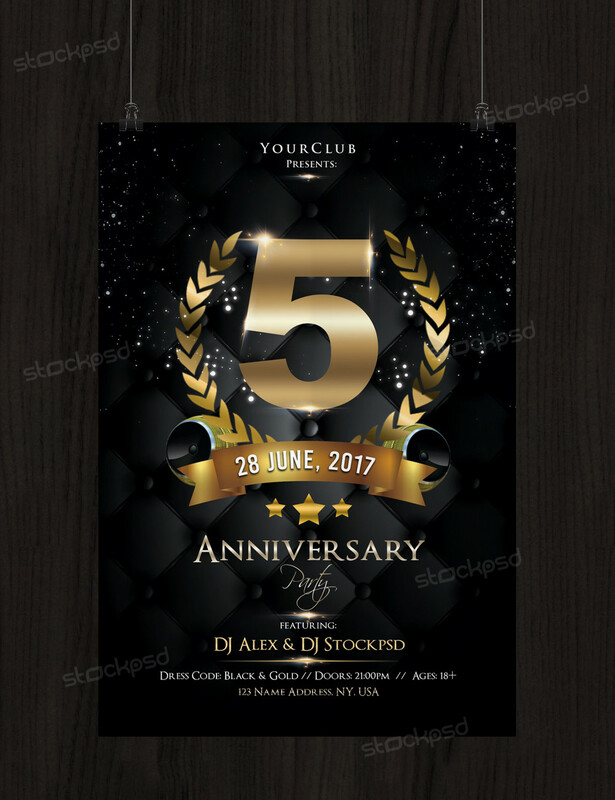 Anniversary PSD Flyer is suitable for any Anniversary Event, Luxury Party, Birthday Party and other Events. You can easy change the text and the colors on this flyer template.